The tenor ukulele is a littler larger than the concert size, averaging about 26", which gives it a stronger, more mellow tone. It's probably the size of choice for musicians for ease of play and sound which is a littler closer to a classical guitar, while still producing that definitive uke tone. My favorite tenor right now is the Oscar Schmidt OU7T long neck, for outstanding appearance, wider spacing of the strings, and extra long neck for easy playing. The spalted mango natural wood (laminate) is unique and really beautiful. The hardware is top notch, including chrome and ebony grover tuners and Aquila strings and details like pear inlays. Very nice, great customer satisfaction and better at under $200 than other tenor ukes that cost an awful lot more. This would also be a good choice for a beginner or for someone who wants to upgrade from a lesser soprano. It's also tune GCEA, like the smaller soprano and concert sized. 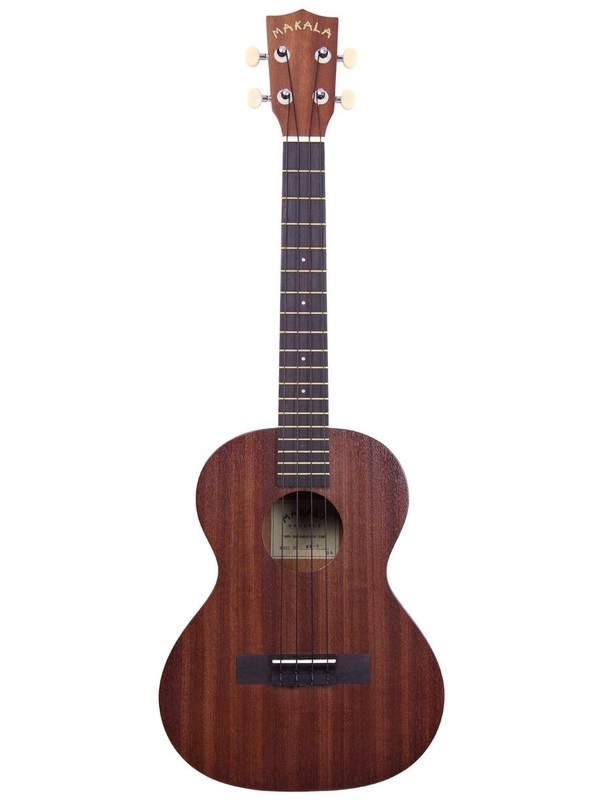 Another less expensive but solid choice, is the Kala MK-T Makala Tenor Ukulele. This is a no frills, "Plain Jane" option, but for the price (Under $80), you get a well made, great sounding tenor uke with geared tuners, and a nice mahogany finish. (Upgrade the strings to Aquila's for even better sound.) I think this is a real good ukulele to buy, and it has lot's of happy owners.